The Lexus LS500h is a hybrid-powered luxury limousine built to offer a distinctively Japanese alternative to German giants like the Mercedes S-Class, BMW 7 Series and Audi A8. The Lexus LS500h is a very impressive looking car with a distinctive style inside and out. The hybrid powertrain is similarly unique and able to switch seamlessly between petrol and electric power (or a combination of both), but the engine can sound strained and the plug-in hybrid rivals have more pure electric range. Interested in buying a Lexus LS 500h? Cars in this class are built to be imposing and the LS500h certainly succeeds on that score. Lexus has been working hard to create a look that sets it apart from more traditional alternatives and, from its expressive ‘spindle’ grille to its coupe-like profile and low-slung stance, it’s a striking piece of design for those who want a distinctive-looking machine. 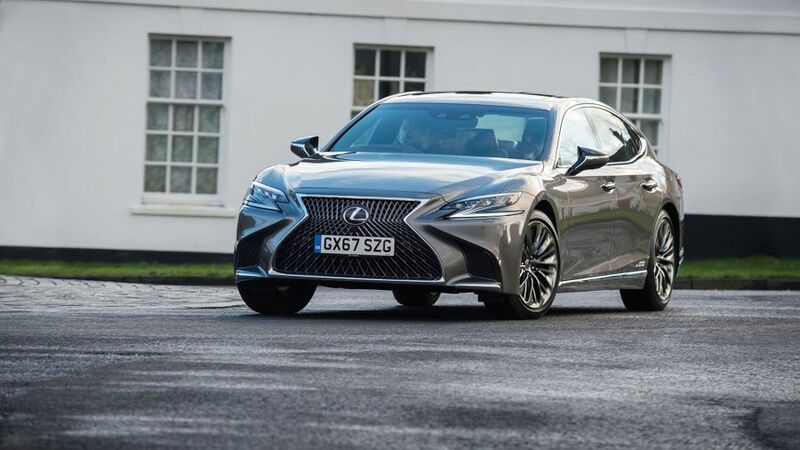 True, it’s a classic luxury saloon in its fundamental proportions but Lexus’s Japanese roots and the brand’s popularity in America have clearly influenced its styling, the chrome trim and polished finish on the 20-inch wheels asserting its non-European style. There are four trim levels, ranging from LS500h through Luxury, F SPORT and range-topping Premier. F Sport gains a distinctive look of its own with black trim details in place of the chrome parts on other models, and a unique wheel design. 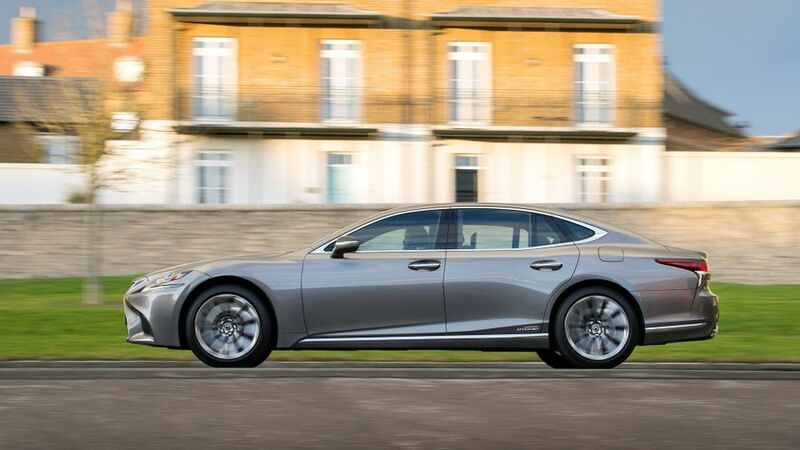 The LS500h’s exterior styling makes a powerful statement, but Lexus correctly lavishes its real attention on its occupants, as befits a luxury limo going head-to-head with the Mercedes S-Class, Audi A8 and BMW 7 Series. 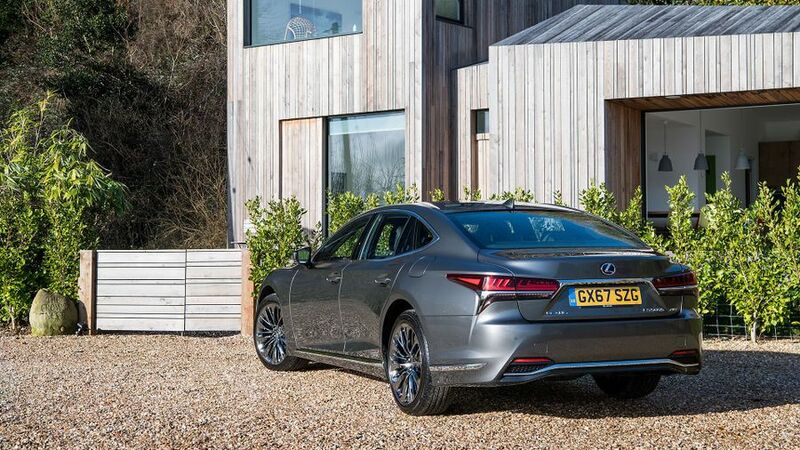 While many in the sector offer standard and long-wheelbase versions the LS500h comes purely as the latter, with a generously appointed rear cabin geared to owners who like to be driven, as well as drive themselves. Stylistic flourishes designed to showcase traditional Japanese craftsmanship include origami-inspired quilting on top spec models and optional ‘Kiriko’ glass trim. Importantly, the Lexus reputation for quality is reflected in the finish and tactility of all touchpoints. It’s a more expressive cabin than many in the sector, but the LS500h lags behind Mercedes, BMW and Audi in terms of its integrated technology. What’s more, the traditional binnacle and separate infotainment screen look and feel a little outdated, and so does the fiddly touchpad interface. The Lexus LS500h is designed around its rear-seat occupants, and more so as you progress up the range. 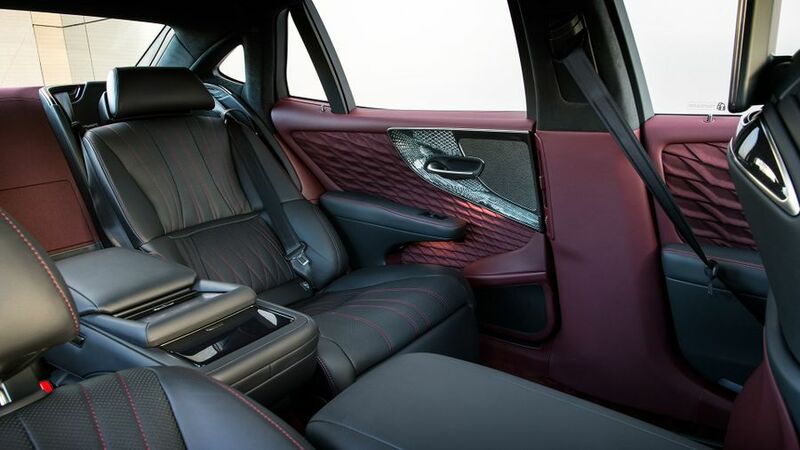 Leather is standard on all trims but becomes progressively more luxurious, while all but the entry-level car get 28-way power-adjustable front seats, Luxury and Premier models getting nearly as much adjustment in the rear, too. On the Premier, this goes as far as reclining rear seats with leg rest and Shiatsu-inspired massage functions. The nearside rear passenger can even control the front passenger seat and effectively fold it forward to fully stretch out as you might in a first-class airline seat. While technically a five-seater, the backrest of the rear seat is more typically folded down and used as an armrest, and it also has touch-screen controls centre for the seats, climate and media. However, the hybrid battery system does restrict boot space compared with rivals, with only a relatively modest 430 litres provided. The LS500h is packed with technology intended to improve comfort, handling and performance. All versions get variable suspension that’s adjusted via six driver modes, while Luxury, F Sport and Premier gain a more sophisticated air suspension. This is a must-have for a car of this class, and can adapt its firmness and ride height, even adopting a raised ‘Access Mode’ when you unlock the doors to aid entry and exit. All-wheel drive is an option on Luxury trim and standard on Premier, improving traction and security in slippery conditions. In its Comfort mode, the LS500h rides with an imperious calm, if perhaps not the magic carpet smoothness of an equivalently specified Mercedes S-Class. The odd hard-edged bump can still be felt, and the Sport S and Sport S+ modes exacerbate that sensation. This highlights that the LS500h is a car happier cruising on motorways and city streets, and the size and weight of the car aren’t as well disguised on twisty rural roads as in rivals. 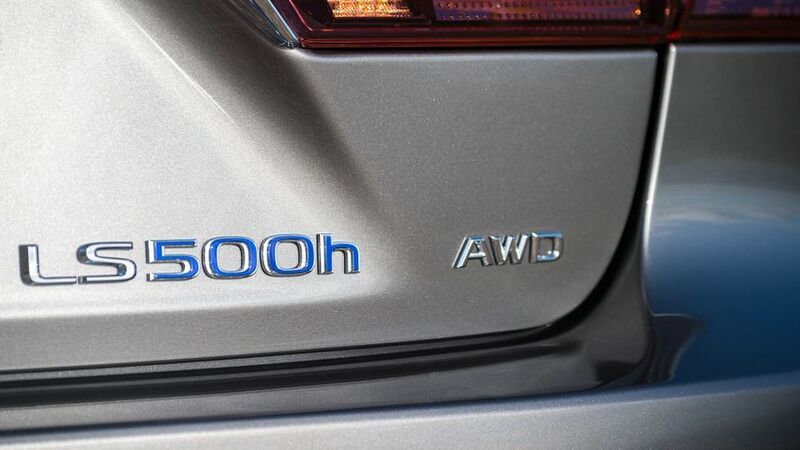 While diesel engines are widespread in rivals and popular with the chauffeur market, the LS500h is hybrid only. At its heart is a 3.5-litre petrol V6, assisted by two electric motors, the combined system power output comparing well with ‘mild’ hybrid alternatives in the Mercedes S-Class and Audi A8 ranges. Unlike these cars, the Lexus can also operate in pure electric mode, albeit for very short distances and at low speeds. You can just about purr around town on pure electric power for a mile or so but, due to the additional weight, any gradients or assertive throttle inputs quickly wake the petrol engine, too, relegating EV mode to little more than novelty. The Lexus also has a very complicated transmission, and while it’s a big improvement on the more conventional continuously variable automatic transmission (CVT) found in previous LS models, it can still rev wildly when you need to accelerate smartly, and the noise is harsh and intrusive for a car of this stature. 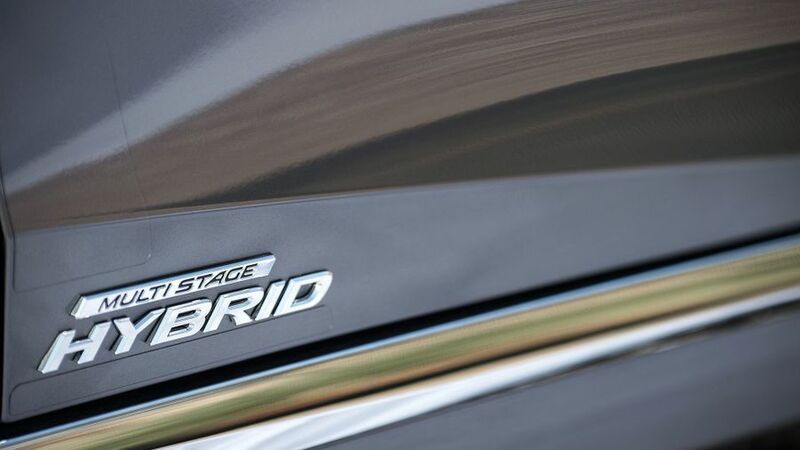 For all the raised expectations of the hybrid branding, the official fuel economy figures are around 45mpg for the rear-wheel drive versions and 40mpg for the all-wheel drive models. This is marginally better than equivalent, hybrid-assisted petrol-engined rivals, but not as good as diesel-powered ones. However, CO2 emissions are on a par regardless of fuel type, meaning very similar tax bills. 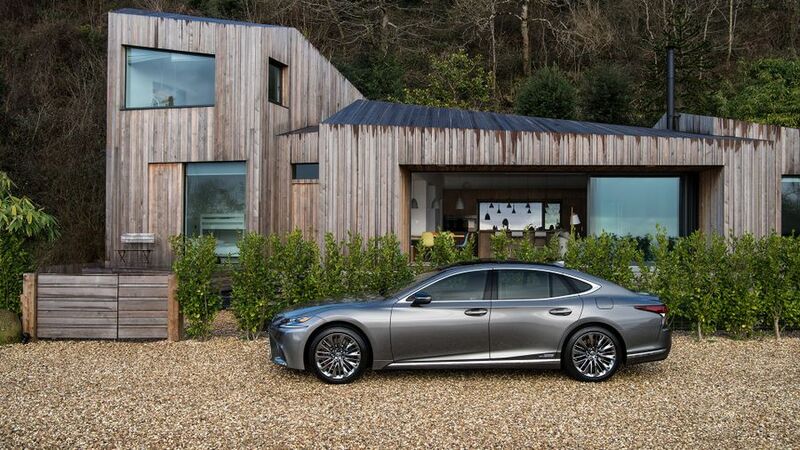 However, the full plug-in hybrids now arriving in the sector meanwhile offer truly impressive on-paper running costs, leaving the LS500h in something of a no-man’s-land. It’s an expensive car to buy, too. The base model compares reasonably against rivals from Mercedes, BMW and Audi, but the Luxury spec quickly increases the upfront costs. Lexus has an excellent reputation for both reliability and customer care, and that’s backed up by countless studies. For example, the brand sits near the top of the manufacturer standings of Warranty Direct’s Reliability Index, and with an impressive score as an individual model, the LS sits comfortably in the study’s Top 100 cars. Our owner reviews are also fairly uniform in their praise of the LS’s reliability. As far as warranties go, Lexus offers a standard three-year/60,000-mile mechanical warranty, extended to five years for the hybrid system. Flagship cars like this are typically showcases for the latest in safety and driver assistance technology and the LS500h is no exception. As standard it comes with the Lexus Safety System+, comprising Pre-Collision System, radar activated Adaptive Cruise Control, Road Sign Assist, Lane Keep Assist and the anti-tiredness Sway Warning. Automatic High Beam is standard for the triple LED headlights, all models from Luxury upwards getting the more sophisticated Adaptive High-Beam System. 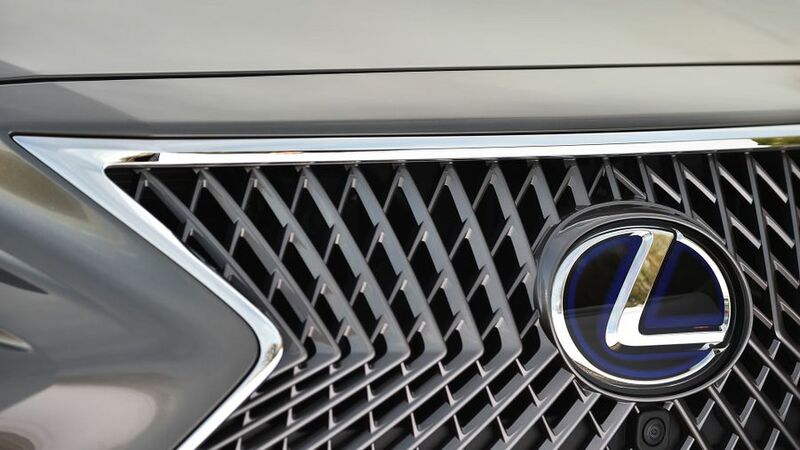 The expanded Lexus Safety System+ A is reserved for the Premier model, and adds Pedestrian Alert and semi-autonomous functions like Active Steering Assist and Lane Tracing Assist. Though impressive on paper, we found that the latter two systems can get easily confused, sometimes requiring unexpected manual overrides, and that makes them less confidence-inspiring than similar packages from rival manufacturers. The equipment list is generous and, in keeping with brand traditions, most comes included in the base price for each grade. This represents a significantly different mindset from the European rivals, who seemingly delight in their bafflingly complex options packages and often require you pay extra to get the bits you really want. 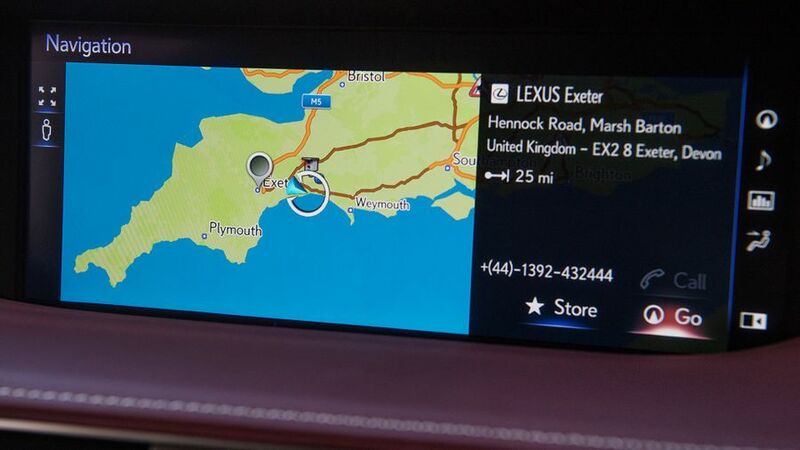 Lexus Premium Navigation with a 12.3-inch display is standard on all models, likewise the full-colour head-up display projecting key information onto the windscreen. Soft-close doors are standard across the range, likewise the old-school addition of a tilt/slide sunroof. Two-zone climate control is standard on the LS500h and F Sport, while Luxury and Premier models get a more sophisticated four-zone system with a clever Lexus Climate Concierge system that automatically adjusts heating and ventilation according to your body temperature and environmental conditions. The exceptional 23-speaker Mark Levinson QLI surround-sound stereo system is standard from Luxury upwards, and it’s pretty much worth the price upgrade in itself. The luxury limousine market is a traditionally conservative one, an attitude the LS500h defiantly rejects. Though it plays by the rules in terms of its fundamental layout, style and proportions, it is proud of its Japanese identity and has been designed to stand out from the crowd. Image is a critical consideration in this area of the market, and not everyone will appreciate this attention-seeking side. But from the very start, Lexus decided it needed to be the statement car in this market, and the LS500h continues that tradition. The hybrid powertrain is also unique among equivalent cars and puts a luxury spin on parent brand Toyota’s established mastery of the technology. It’s a powerful selling point emotionally but, sadly, not quite as effective on the road as you might want.